In this document you can find the highlights of the work of the HOSPEEM-EPSU Sectoral Social Dialogue Committee for the Hospital and Healthcare Sector. 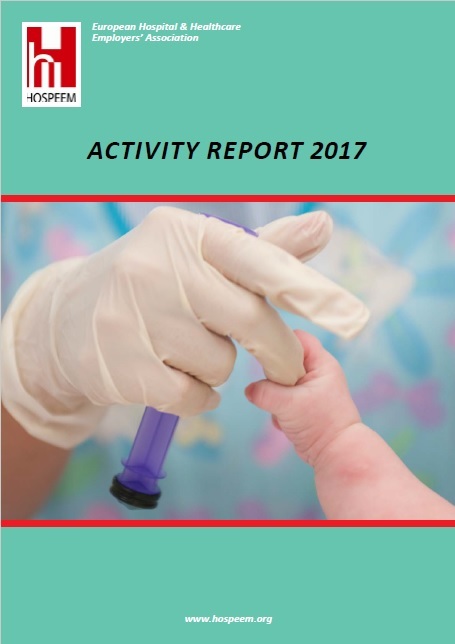 In 2014-2015 the Sectoral Social Dialogue Committee for the Hospital and Healthcare Sector dealt with a range of topics, carried out project-related activities and agreed on several documents. 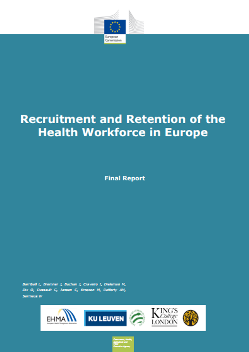 On 6 July, the European Commission published the final report of the study of DG SANTE on recruitment and retention of health workforce in Europe. 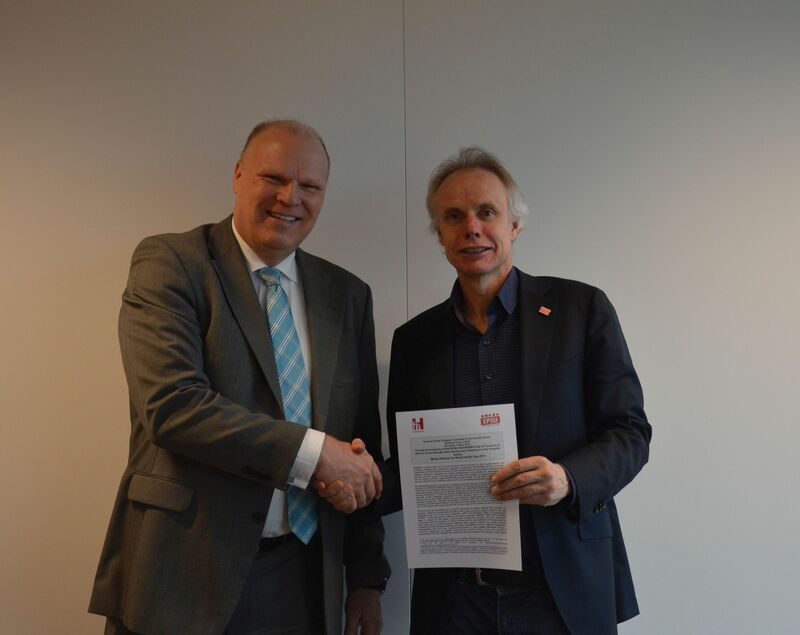 HOSPEEM and EPSU provided a social partner-based input into the study. It identifies and analyses effective strategies for recruiting and retaining health professionals and aims to serve as a source of inspiration for the development of organisational strategies and human resources policies in Europe. Read the full study. Staff recruitment and retention are key issues in hospitals and healthcare. For this reason, HOSPEEM and EPSU, the EU-level social partners in the healthcare sector agreed, on 17 December 2010, a framework of actions (read press release). This agreement constitutes an important basis for social partners at European and national level to develop concrete action to tackle staff shortages and qualification needs now and in the future. achieving the safest possible working environment. For each topic, the framework sets out a number of principles and aims along with actions to be taken by the sectoral social partners. In their framework of action, HOSPEEM members and EPSU affiliates committed to implement initiatives and measures aimed at recruiting and retaining staff along the lines of the priorities set out in the agreement. HOSPEEM and EPSU will also produce a report collating case studies from their own members. The examples of existing/good practice will refer to strategies and measures agreed and implemented by the social partners themselves (also by means of collective agreements) or involving them (also including material developed by national affiliates/members for the use of their own members), and also legislation and government policies carried out in cooperation with social partners. At the last meeting of the Sectoral Social Dialogue Committee for the Hospital Sector in 2014, HOSPEEM and EPSU reached a final agreement of the Joint Work-Programme 2014-2016. The two broad thematic priorities that will lead the joint work of HOSPEEM and EPSU in the three years to come are occupational health and safety, and recruitment and retention of healthcare workforce. Each theme is developed into specific objectives with clear deliverables and timeline. The planned activities and projects laid down in this document are also guided by transversal priorities agreed by HOSPEEM and EPSU so far. The final version of the HOSPEEM-EPSU Joint Work Programme 2014-2016 is now available. Published by the European Observatory on Health Systems and Policies this new book sheds light on health professional mobility in Europe. As health professional mobility is growing in importance, relevance and complexity, new insights and tools to understand it, measure it and manage it are needed. The aim of this 2nd volume is to provide just this by focusing on the changing dynamics, mobile individuals and diverse responses. The book’s 16 chapters are written to inform the ongoing policy processes and enrich debates between decision-makers and observers across countries, sectors and disciplines.